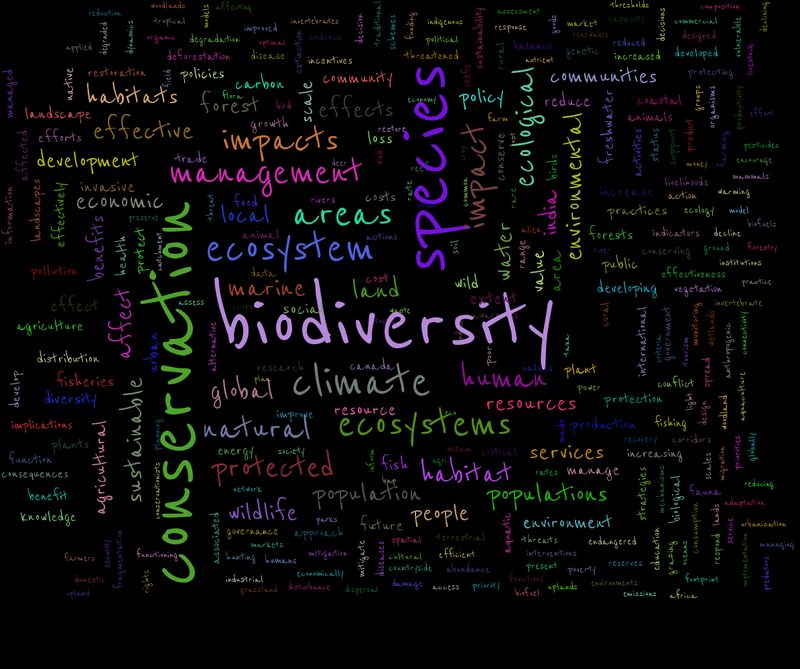 Issues relating to biodiversity conservation and the environment have the potential to affect all of us, from climate change to the decline of non-human species. Environment-related policy decisions in India tend to be in the hands of a few, however. A recent study published in the July 2015 issue of Biological Conservation sought to broaden the debate by soliciting and then analysing concerns related to Indian biodiversity management and conservation from a larger slice of the public. The study brought together a team of ecologists, conservationists and social scientists based out of India, the U.K., U.S and the Netherlands, who consolidated a pool of several thousand survey responses into 152 thematically-arranged questions, which could help guide future conservation research directions, policy and public outreach initiatives alike. The study is a first of its kind from the developing world—it was motivated by the “horizon scans” of conservation and ecology issues, which have been done either at global scales or in developed countries. While horizon scans typically survey the opinions of experts in the field, this study was open to the public—a key difference. “It was a consensus that we should not restrict this exercise to specialists in ecology and conservation. Ecosystems and natural resources are shared by everybody, so everybody’s opinions should matter,” said Varun Varma, an ecologist at the National Centre for Biological Sciences (NCBS) and the first author on the study. Participants could provide up to ten responses (phrased as questions) to the survey question: “What do we need to know to better manage and conserve biodiversity, ecosystems and natural resources in India?” 572 individuals responded, primarily young, educated, and from urban or semi-urban settings in India, which the authors attribute to the natural limitations of an online English survey. Relevant and specific questions that could be answered by research were classified into seventeen broad categories representing the priority issues that participants had highlighted. ‘Policy and governance’ was a theme that saw a the most number of questions. Questions in this theme were strongly linked to several other themes such as ‘Conservation and Protection’, ‘Agriculture’ and ‘Water resources’ among others. “One theme that repeatedly came up was about striking a balance between development on the one hand and natural resource conservation on the other hand. To me, that was the most interesting,” said Anand M. Osuri, an ecologist at NCBS and one of the paper’s lead authors. Equally noteworthy was that many topics raised by the respondents were already well-covered in the scientific literature. Osuri suggests that better dissemination of research findings in non-technical media and public data repositories could help bridge this information gap. Varma, in turn, highlighted notable absences within the questions. He suggests that the lack of concerns related to some fields—marine ecosystems for instance—point to a lack of stories within the media about these issues. “An important contribution of this work is this list of questions. We hope different people—policy makers, conservation practitioners, researchers trying to identify questions of interest, or funders looking to back projects—can use it to inform their work” said Jayashree Ratnam, an ecologist at the National Centre for Biological Sciences (NCBS), Bangalore, a lead author on the paper who was part of the initial group that developed the concept for the public survey. All agree that if possible, their survey methods should be extended to a larger, non-English speaking population in India. The logistics would be difficult but do-able, says Osuri. “This would require a large army of data collectors who are not only fluent in regional languages but also able to put across these ideas in a form that people everywhere can relate and respond to,” he says. “That’s what it will take.